Alex Bell was born in 1986 in Hampshire. She studied Law on and off for six long years before the boredom became so overwhelming that she had to throw down the textbooks and run madly from the building. Since then she has never looked back. She has travelled widely, is a ferociously strict vegetarian and generally prefers cats to people. Learn more at Alex Bell’s website. Lex Trent — (2010-2011) Publisher: With Lex’s mix of skill, quick-wittedness, and no small amount of outright cheating, he can’t lose! Can he? Lex Trent is reigning champion of The Games contested between fickle gods using human playing pieces. He has it all: fame, glory, wealth, and an enormous ego. But The Games are about to begin again and the Goddess of Luck wants Lex to defend their title. It’s a challenge he can’t resist, despite the risk of death, because the final round will take place in the Wild West, giving Lex the chance to claim the legendary Sword of Life, and who wouldn’t want that? Luck may usually be a lady to Lex, but in the Wild West they play by their own rules—and Lex has never been that good with rules. Lex Trent versus the Gods, Alex Bell’s first YA novel, introduces us to Lex Trent, a thief, swindler, and all-round rogue. He has taken one chance too many and finds himself caught up in the Games, playing as a representative of Lady Luck. We follow his various trials and tribulations over the course of the Game. "You have never heard a story quite like this one." Start a book with a sentence like this, and you've given yourself a tall order to fill. However, Alex Bell doesn't disappoint. 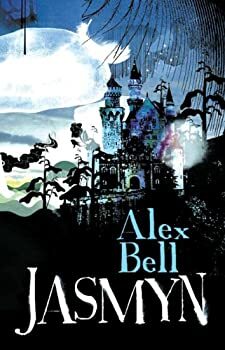 Jasmyn is something special indeed, putting me under its spell in a way that only a few books a year ever do. The Ninth Circle — (2008) Publisher: A man comes to on the floor of a shabby apartment in the middle of Budapest. His head is glued to the floorboards with his own blood. There’s a fortune in cash on the kitchen table. And he has no idea where, or who, he is. He can do extraordinary things — speak any number of languages fluently, go three days without food or sleep, and fight with extraordinary prowess. But without a name, without a past, he’s isolated from the rest of the world; a stranger to everyone, including himself — until a chance encounter with a young scholar leads to his first friendship and his first hint that someone out there knows more about him than he does. Someone is sending him clues about his past. Photographs hidden in books and crates of wine. Cryptic clues pointing towards a murdered woman. And clear warnings against Stephomi, his only friend. But that’s not all; Gabriel Antaeus is seeing strange, impossible things: a burning man is stalking his dreams and haunting his mirrors, his dreams are filled with violence from the past, and his pregnant young neighbor is surrounded by an extraordinary golden aura. Something dark and violent in Gabriel’s past is trying to resurface. And as he pieces the clues together, everything points towards an astounding war between angels and demons — a battle not just for the future of the world but for the minds and souls of everyone in it. CLICK HERE FOR MORE BY ALEX BELL. Here's another installment of FanLit Asks. Instead of asking one author several questions, we’ve asked several authors just one question. Please leave a comment or suggest a question for us to ask in the future. We’ll choose one commenter to win a copy of Jack Vance's The Eyes of the Overworld (one of my favorites!) on audio CDs (or, if you've got bad taste, something else from our stacks). 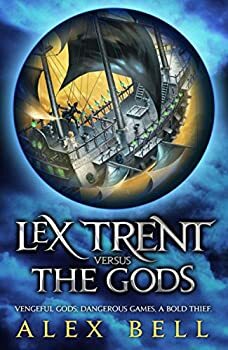 Today we welcome author Alex Bell whose book Lex Trent Versus the Gods has just been released in paperback in the U.S. Amanda enjoyed Lex Trent and I loved Alex Bell's novel Jasmyn, so we're pleased to introduce you to Alex who wants to talk about anti-heroes.